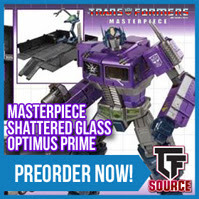 TFsource News! MP-32 Optimus Primal, Simba, Allen, Baldigus, Shadow Tengu, Apollo, Saltus & More! Arriving this week – MP-32 Masterpiece Optimus Primal / Beast Convoy! Order today! Now up for Preorder – Extreme Sets – Pop-Up Diorama – Control Center Set! Preorder yours today! Takara’s highly articulated and detailed MP-34 brings a more modern Beast Wars version of the Cheetor from the Beast Wars tv series to life! Celebrate the 20th Anniversary of the Beast Series and preorder MP-34 Cheetor at TFSource. Now available for Preorder at TFsource: PS-12 Saltus! Stands 9.25″ tall in robot mode, with die-cast parts, rubber tires, & more! Preorder yours today! 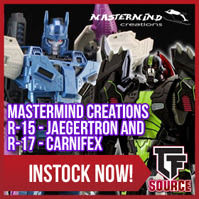 Mastermind Creations – R-17 – Carnifex and R-15 – Jeagertron Now Instock at TFSource! Add both to your collection! 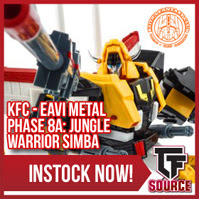 Now instock and ready to be added to your collection is KFC – EAVI METAL Phase 8A: Jungle Warrior Simba. Get yours here today! 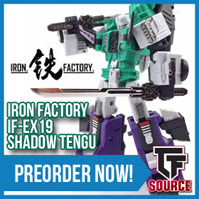 More Iron Factory – IF-EX06-10 Set of 5 Ashura Knights instock at TFSource. Order yours today! Planet X – PX-08 Asclepius instock! Add to your collection today! Now Instock – War in Pocket – DX9-01-02-03 Campaigners Set of 3! Order yours now! The BIG guy is in! 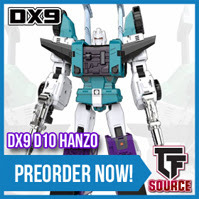 Order the nearly 2ft tall Titans Return Fortress Maximus at Tfsource! 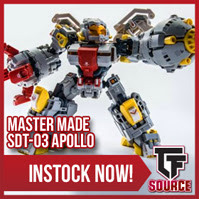 Tons of MakeToys figures back instock. Order your favorites today! Restock Alert! 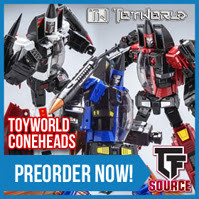 Order your Make Toys Striker Manus at TFSource Today! 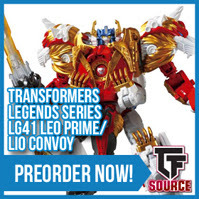 Now Instock – X-Transbots MM-IV Ollie – Reissue! Order yours today! 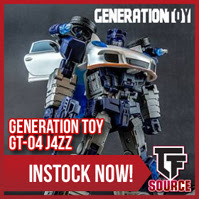 Now Instock: Generation Toy – GT-04- J4ZZ! Add J4ZZ to your collection today! Beautifully re-created in 1/10 scale, the Shoretrooper looks like he stepped straight off the screen. Preorder it today! 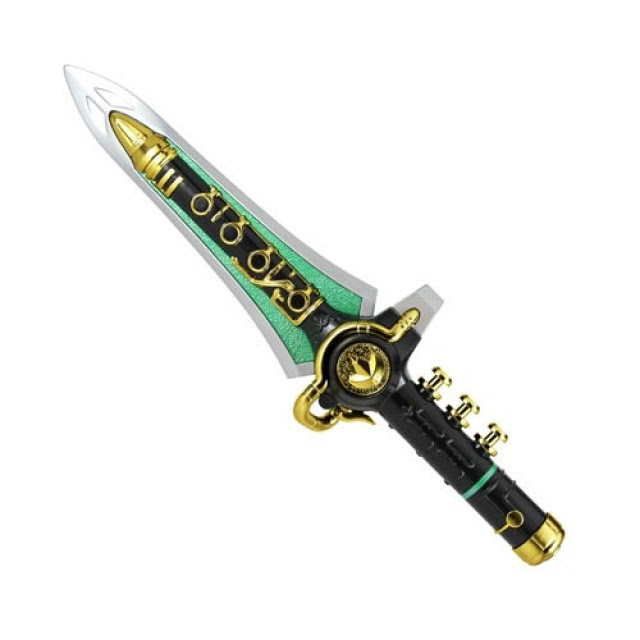 Add this Mighty Morphin Power Rangers – Legacy Green Dragonzord! Preorder to your cart today! There’s no better weapon for slaying! Don’t miss out on these amazing Luke Skywalker and Darth Vader lightsabers!Order your Star Wars The Force Awakens Black Series Force FX Deluxe Lightsaber today! Wanna Play? Preorder Kotobukiya – Child’s Play – Miss Chucky Bishoujo Statue today! Now avaliable for preorder at thetoysource 1/6th Scale Fallout 4! Preorder ThreeZero – Fallout 4 T-60 Power Armor Figure today! Add S.H. Figuarts StarWars Jango Fett to your collection today! Now Instock! Now up for preorder: Play Arts Kai – Gears of War – Marcus Fenix! Get yours today! Now up for preorder Mezco One:12 – Marvel – Red Skull. Get it today!